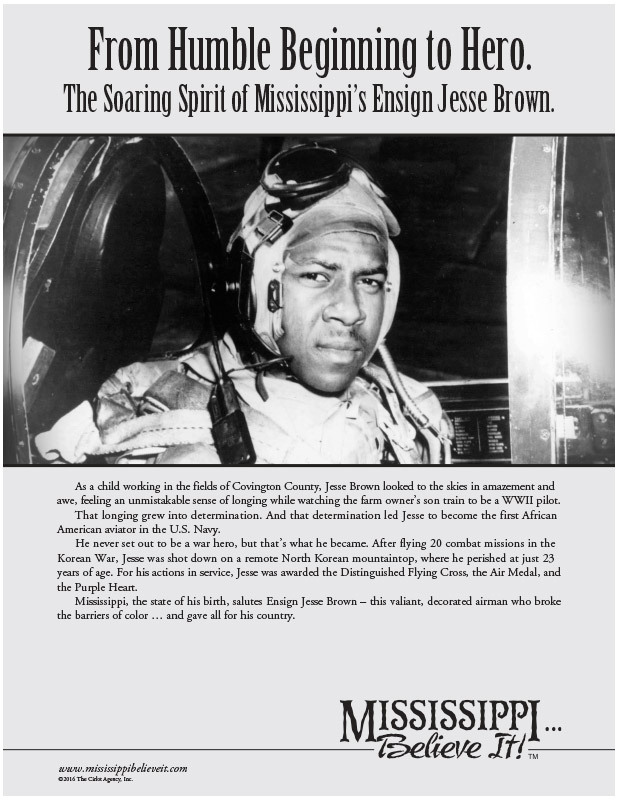 Lesson Plan: Jesse Brown - Mississippi Believe It! Writing. Jesse Brown, a Medal of Honor and Purple Heart recipient from Mississippi, was a brave soldier who became a war hero. Who is your hero and what characteristics does that person have to make them a hero? How can you be a hero to someone else? Write in paragraph form using 3–5 sentences.